I decided a while back I wanted to host Thanksgiving this year. I had it in my head that I wanted to cook for days, see everyone and still be at home. What I forgot was that A) I don’t particularly like turkey and B) I’ve never cooked a turkey. I’ve cooked chicken and duck (twice … It’s too tricky) but never turkey. I was going to get around this by doing chicken, but everyone except me wanted turkey. So turkey it was. 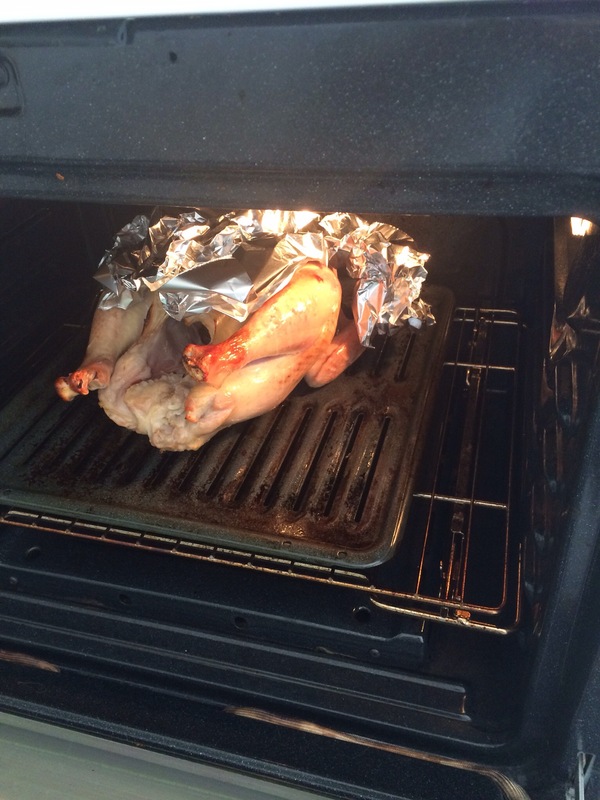 The big question … How the heck does one cook a turkey? A bird known for being easy to mess up and that is notorious for having one part dry out before the other part is cooked. Alton Brown to the rescue. I have one of his cookbooks, but I have to admit, I use it very infrequently. 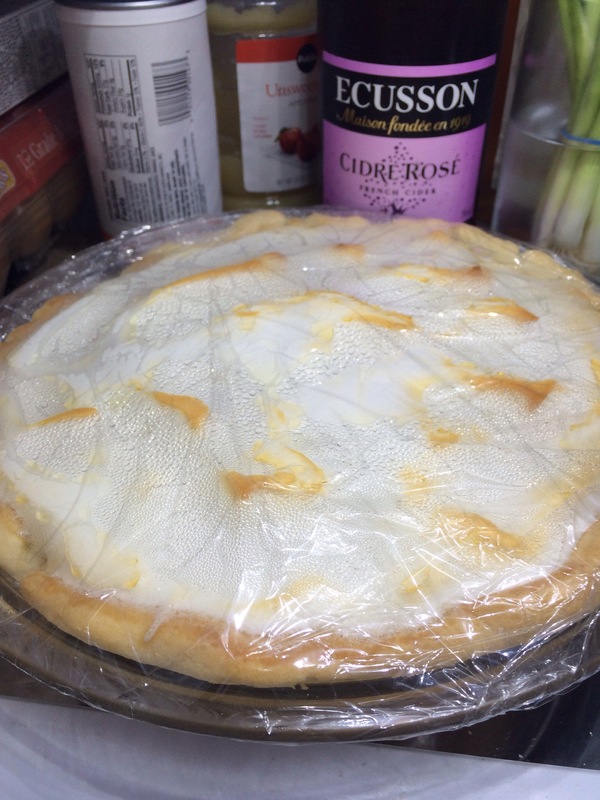 I do, however, love a number of his recipes including the basic lemon meringue pie (I alter the recipe slightly but it works) and the magic polenta. So I checked the book (a week ago when I finally admitted it was going to be turkey for Thanksgiving) and thought, “sure, I can try that.” First step, brine the turkey overnight. I used an old styrofoam cooler I had and the requisite brine ingredients. Add lots of ice and put it somewhere Gracie can’t get it. Then came what to do since the bird, about an hour into cooking looked very brown. So, I covered it. 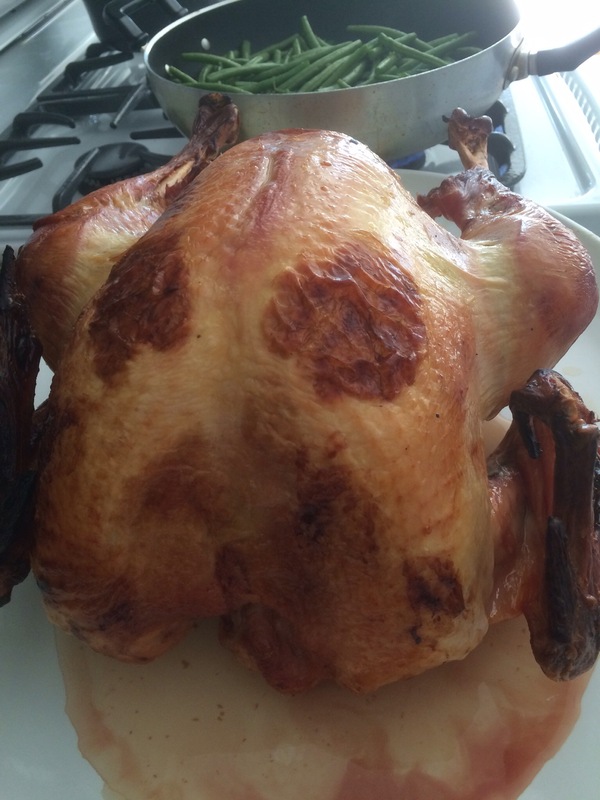 We started with the wings early on, then the breast (that part per instructions) then the whole thing. It didn’t take nearly as long to cook as I thought it would, which just meant dinner a little early. But it came out looking ok. Since I can’t go with straight traditional fare, we did a few twists. Rather than sweet potatoes or yams, I went with butternut squash parsnip soup. 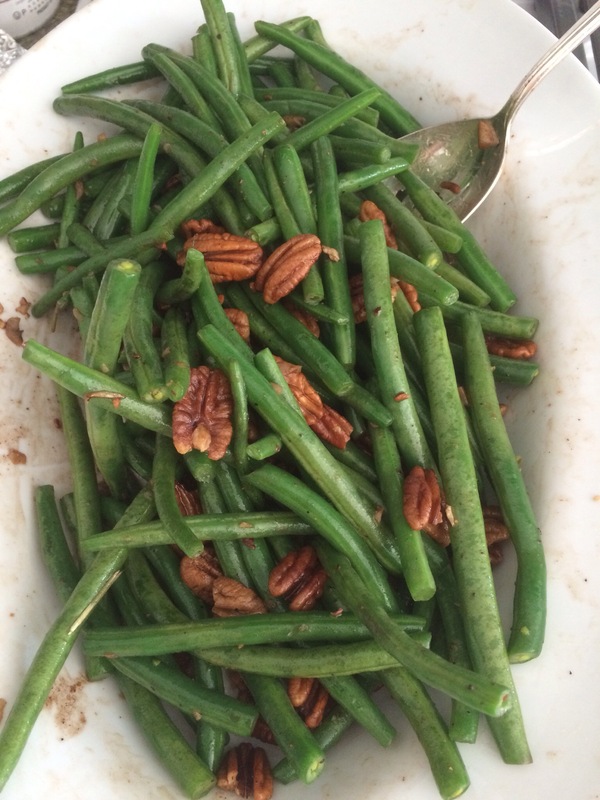 Instead of typical green beans, I did pan roasted green beans with candied pecans. 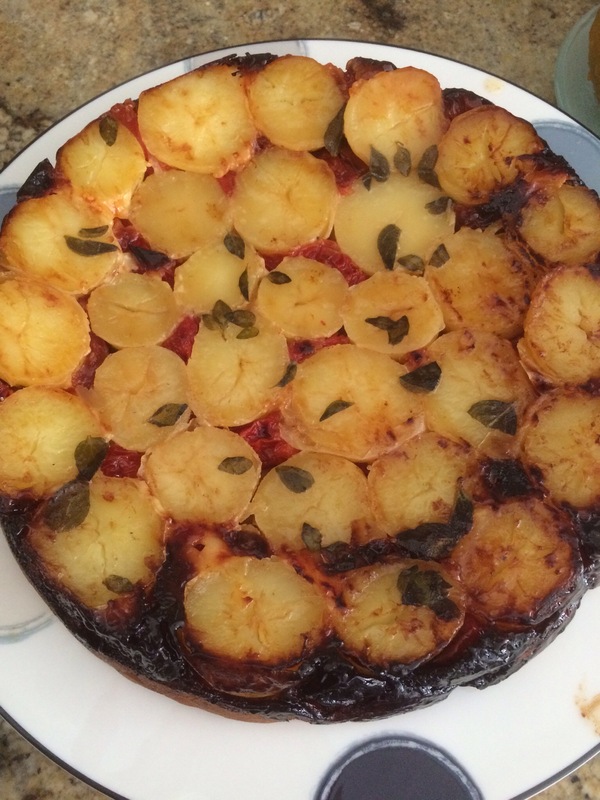 Instead of mashed potatoes, we had the potato tart. 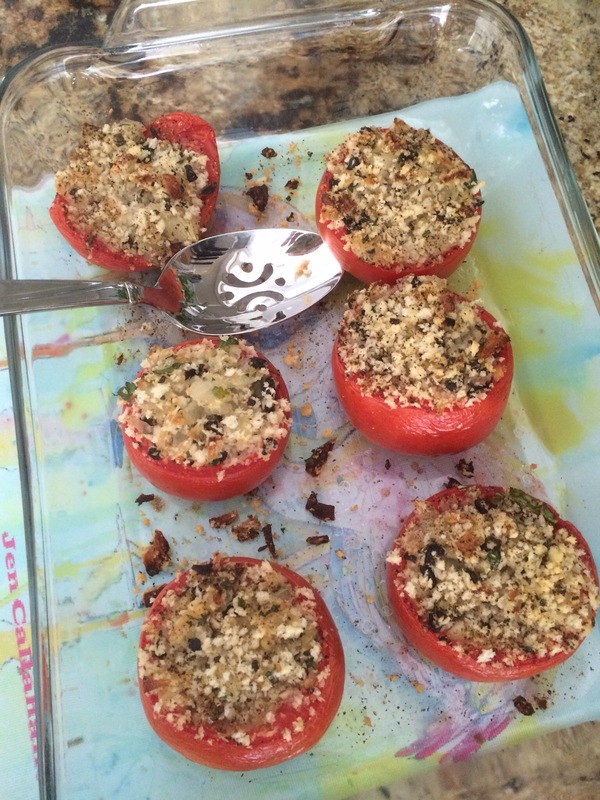 I also did an herb stuffed tomato for another vegetable since I really wanted to try the recipe. Mom did make her stuffing and I made gravy from the pan juices, so we had some elements of a traditional meal. For desserts I went with one favorite, one soon to be favorite and a complete experiment. 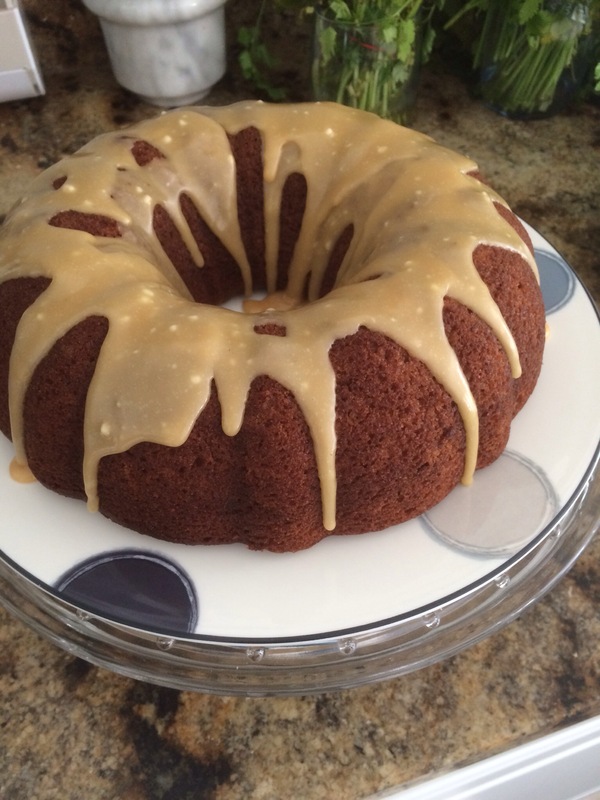 Lemon meringue pie, applesauce spice cake with caramel glaze and a maple-honey-walnut pie. The nut pie was not pretty, so no pictures. All in all it was a really nice day, and everything came out rather well. 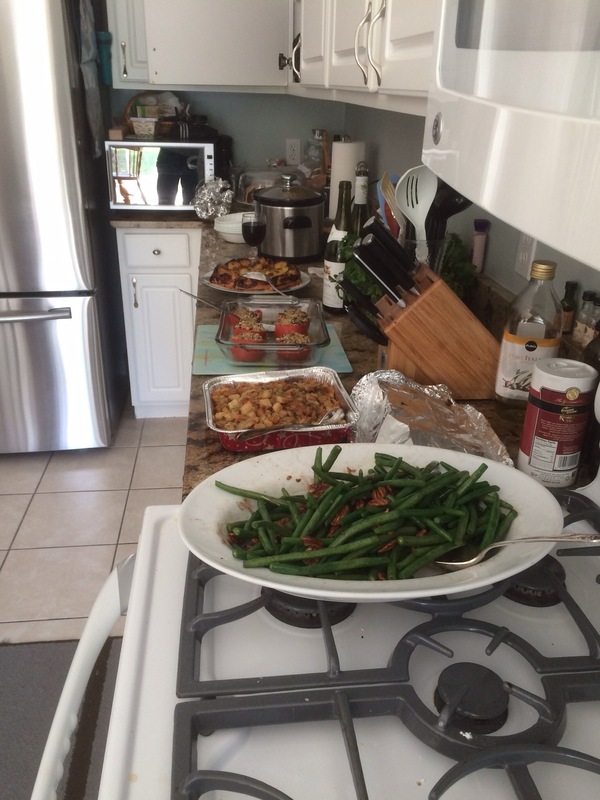 The turkey was … well, according the everyone who likes turkey, it was great. I thought it was fine, but it’s turkey. Apparently I didn’t mess it up. The light and dark meat were both well cooked and moist (without the gravy) and it did have flavor. So thank you, Alton Brown for saving my turkey this Thanksgiving. I know I missed a few weeks posting here. Nothing wrong, just got a bit busy and a little tired. All is well. Bob and I even did another Disney tour on Monday to start the holiday season. Backstage Safari was a really good look at the workings of Animal Kingdom. It wasn’t as surprising or “wowing” as the Keys to the Kingdom tour was, but it was interesting. And honestly, to see a black rhino about five feet from you … Incredible. 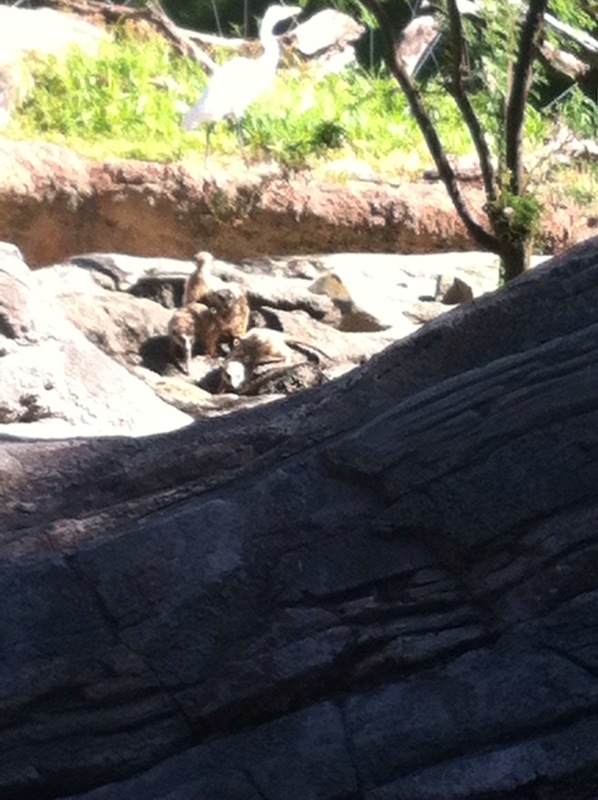 But I still want a meerkat family for the backyard. Have to figure out how to make that happen. Happy start to the holiday season everyone. What an amazing spread! Wish we were there with you!